We help The Bank, and the people it serves, take a step up. There's a special and critical operation within The World Bank that studies, yes, The World Bank. 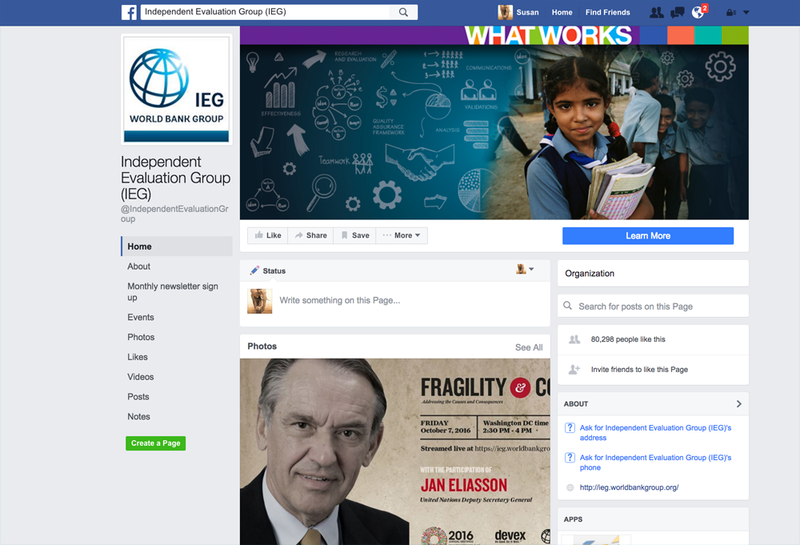 The Independent Evaluation Group, or IEG, conducts intense reviews of the Bank's programs around the globe. Because the Bank makes some $60 billion (US) in commitments each year, it's crucial that the funds be used as effectively as possible. 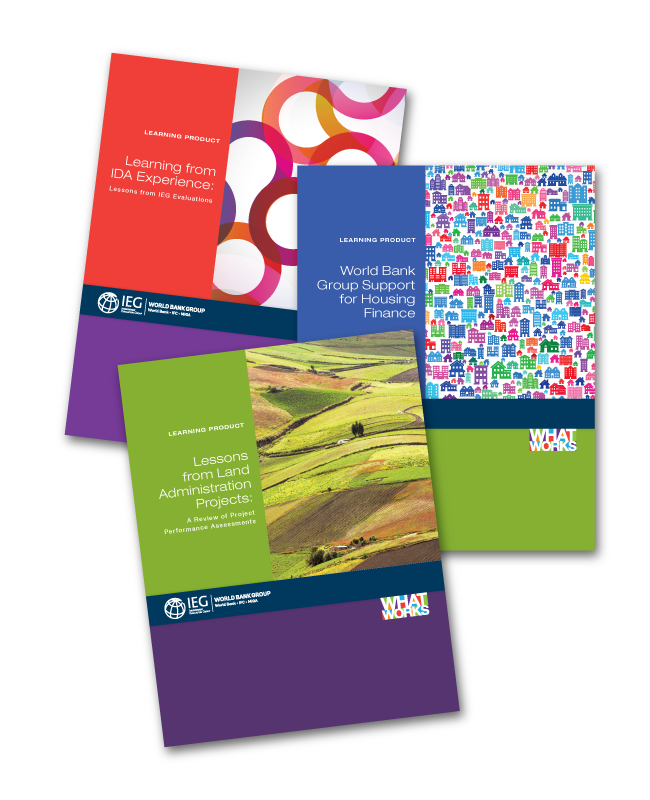 IEG's evaluation results are communicated back to Bank employees and interested parties in member states via conferences and publications. 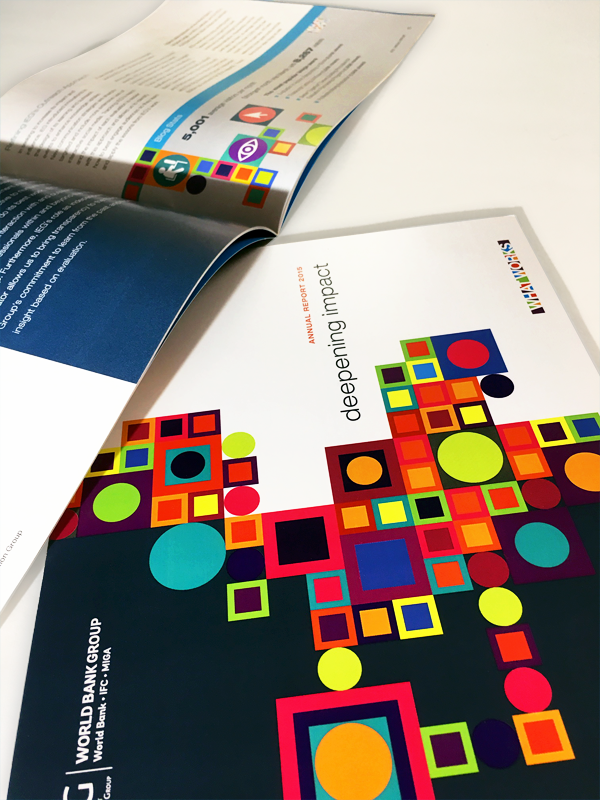 After viewing one of these conferences and listening to participants' comments, it struck us that the essence of IEG's work was to discover "What Works," and at our suggestion and using our design, that has become a key component of IEG's brand. 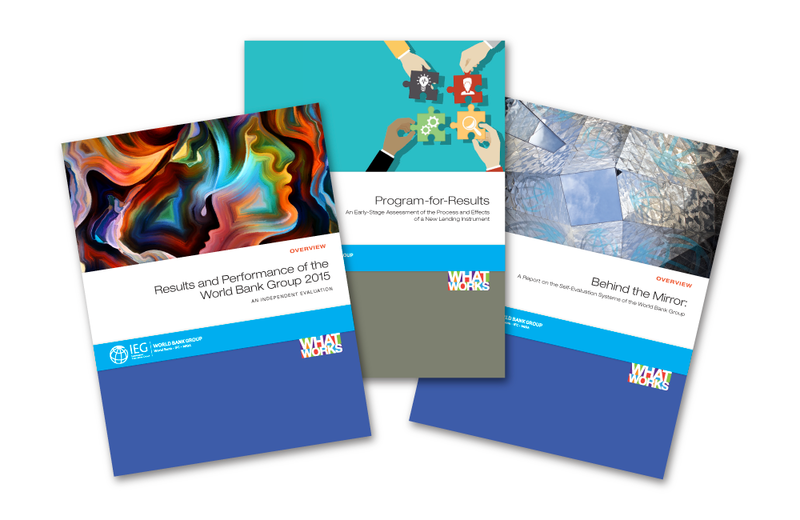 For the dozens of publications and report covers we've designed for IEG, the What Works mark has become a recognizable alert that the reports' contents are worth review. 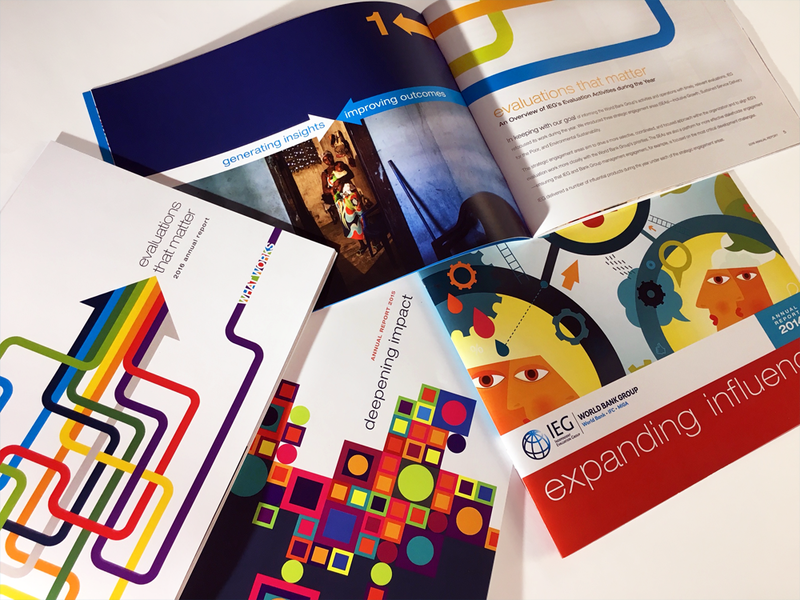 In the four years to date that we've worked together, we've also designed and produced IEG's annual reports. 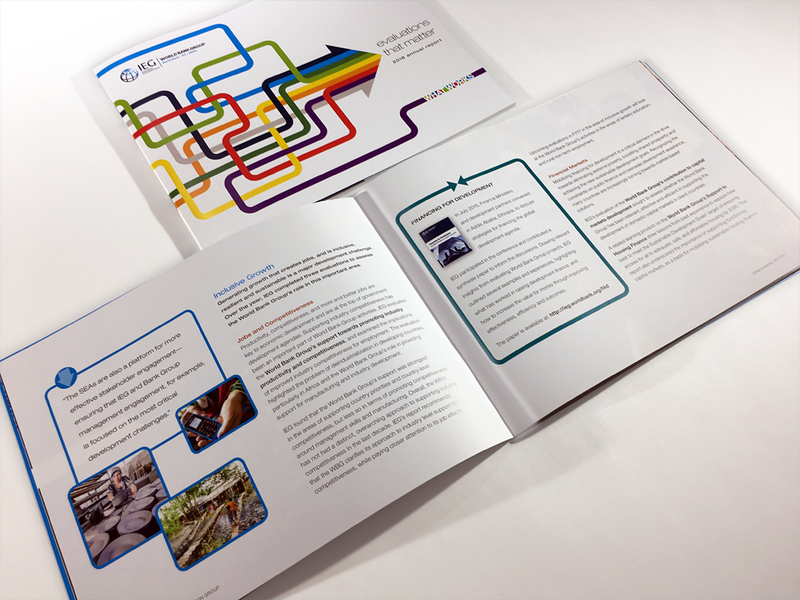 We've made these graphically-intense and results-focused reports easy to read and their key points easy to recall by using a number of subtle design techniques to drive a seamless narrative and push forward essential information. 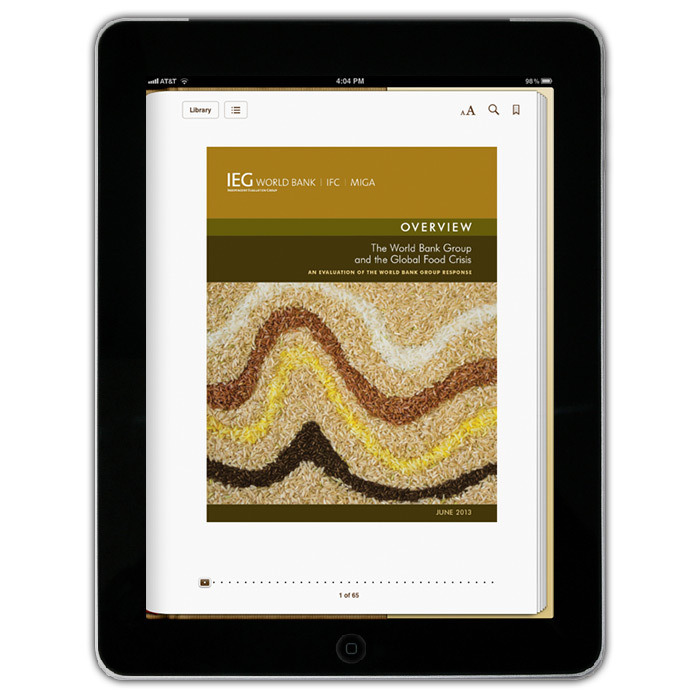 IEG's feedback: That Works! "Congratulations! You really hit this out of the park. Our internal clients are extremely happy with the result, and this was a particularly tough group. We’re hearing words this morning like “fantastic!” and “exactly on point” – so my heartfelt thanks to you for really taking this task under your wings and producing a fantastic cover. They’ve even asked if they can have a poster of the artwork to hang on their walls – they like it that much!"